Twenty years after Atlantis, Paradise Island launched the first-of-its-kind luxury destination and Aquaventure waterscape, the resort ushers in a new era worthy of another visit—or two or three. After many Caribbean islands were severely damaged during the recent 2017 hurricane season, Paradise Island, in the Bahamas thankfully remains virtually unharmed—and very ready to welcome visitors. So, before you say, “we’ve already been there, done that” at the Atlantis, think again. The resort has embarked on a new chapter offering enriching family activities, and meaningful connections with the ocean, the Bahamian culture, and the spirit of the Bahamian people. To advance this new vision, the Atlantis has made significant changes and innovations in several areas. 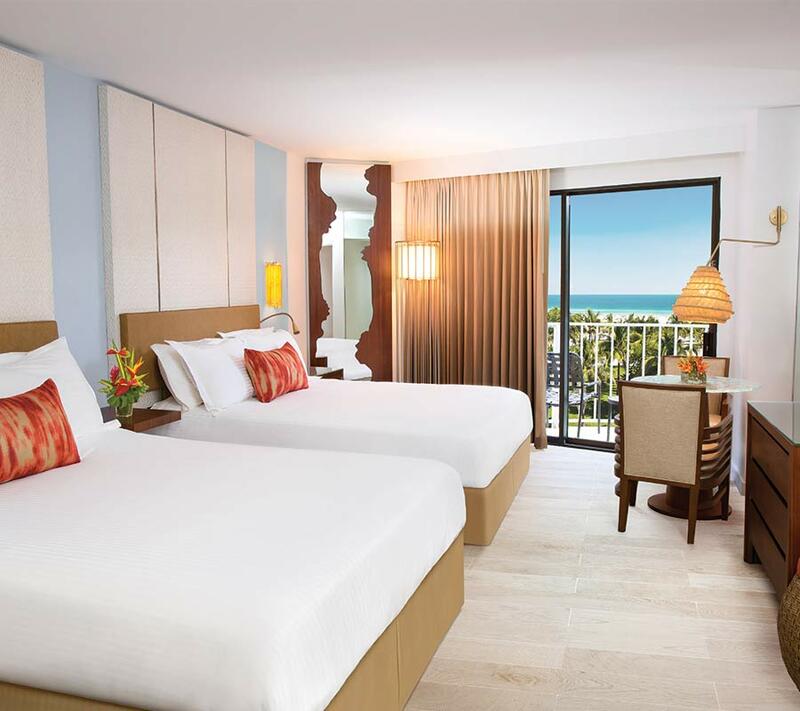 This tower of the resort was completely renovated and re-branded into a family-centric destination offering a thoughtfully designed family-friendly lobby, accommodations, pool, and amenities combined with truly innovative activities and opportunities for fun, education, culture, and purpose. Enter the lobby of The Coral and you’ll pause: it’s got a different vibe for sure. Beyond the Coral Kids Concierge Desk (yes, catering to kids!) is a lounge area that invites you in with soothing colors of coral and teal, carpeting, and woven chairs clustered to engage conversation or play a game. 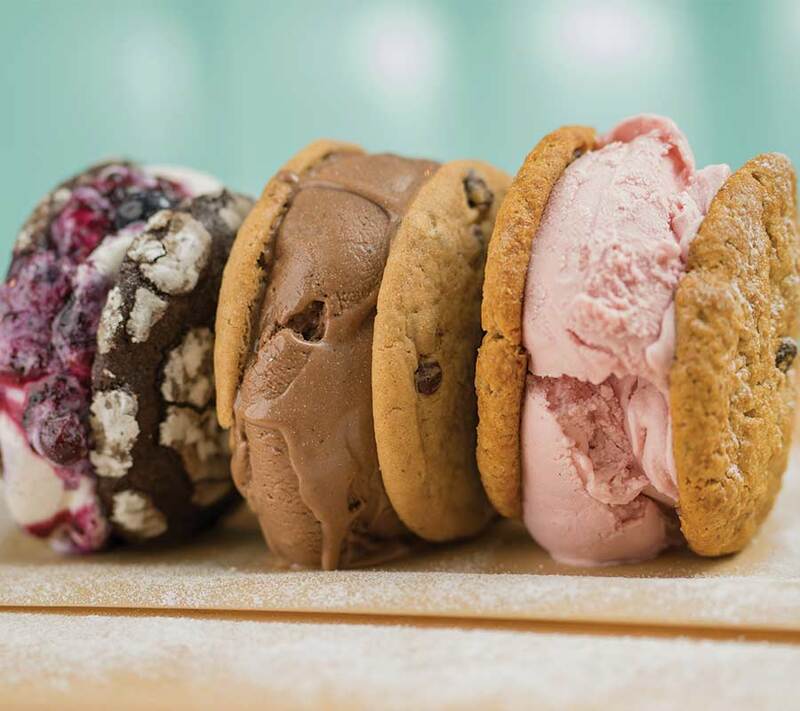 Just off the lounge is the centerpiece of the lobby, Sun & Ice, a new “old fashioned” ice cream parlor and bakery serving authentic Bahamian gelato and sorbet, milkshakes, and coffee drinks that will bring out the kid in both young and old. On the lower level, The Coral offers Crush, The Ultimate Teen Club, which is a safe alcohol-free lounge (for ages 13 to 17) with a definite night-club vibe, loud music, dance floor, internet lounge, gaming stadium, and the Crush Café for snacks and beverages. Club Rush, for those 9 to 13 years of age, offers video games, movies, dancing, and karaoke. Babysitting and other arrangements for younger kids are available at The Coral, as well. Outside, the new, sparkling blue and white poolscape, designed by architect Jeffrey Beers, offers a welcoming environment with private cabanas, family-friendly water activities, and a swim-up bar featuring locally-made, preservative-free frozen treats prepared daily with Bahamian fruit. Considered the ultra-luxury enclave at Atlantis, The Cove just unveiled a series of new design collaborations, restaurants, and guest experiences. The new Sip Sip restaurant is helmed by Julie Lightbourn, Bahamian celebrity chef and proprietor of the landmark Harbour Island restaurant. This is Lightbourn’s first outpost, which overlooks the newly re-designed poolscape at The Cove with an additional beachside deck offering views of the ocean. Lightbourn is known for her home-grown hospitality and home-made “Caribterranean” cuisine (Bahamian with a twist) not to mention a perfect rum punch. Fish by Chef José Andrés is another new restaurant set to open at The Cove in February. 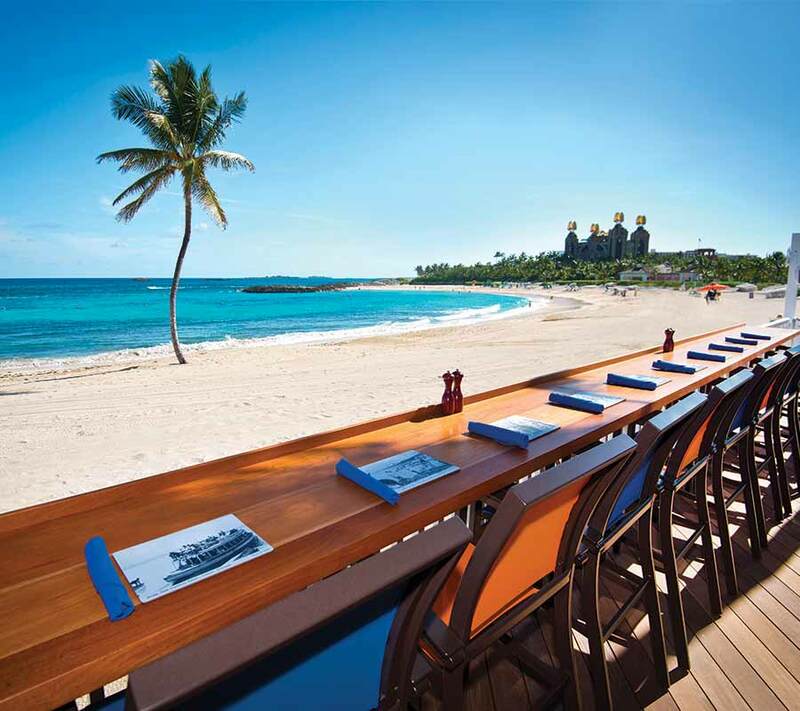 At The Cove Paradise Island, a new Sip Sip restaurant offers a beachside deck. Adding to the allure of The Cove, acclaimed artist, textile, jewelry and accessories designer, Lulu DK, has transformed The Cove Pool and surrounding cabanas into a vibrant, beachside sanctuary. The Cove offers both private “adult only” and family pools, lavish cabanas, and breathtaking views of the ocean at every turn. And the recent installation of “Sacred Space”—the soul-stirring sculpture series created by Bahamian artist Antonius Roberts­—on The Cove Peninsula adds the perfect punctuation point to this bespoke and serene enclave of Atlantis. Don’t forget to book an appointment at ultra-pampering Mandarin Spa, just a short walk away. Dolphin Cay at Atlantis is indeed a very special place. Opened in 2007 in response to a need to provide a safe haven for 16 stranded dolphins whose home Hurricane Katrina destroyed, Dolphin Cay is one of the largest open-air, marine mammal habitats dedicated to conservation, rehabilitation and education. This 14-acre environment includes an 11-acre lagoon complete with coves and sandy beaches, seven connected residential pools, a state-of-the-art animal rescue-rehabilitation hospital, animal pharmacy, quarantine, and a separate sea lion center. Its immersive programming has further expanded to offer guests a meaningful connection to the water and the marine animal species it houses and protects. Every visit to Dolphin Cay supports the Atlantis Blue Project Foundation, creating and promoting solutions for a wide range of marine conservation challenges from coral reef degradation to marine species in decline. From sea lion interaction to swimming and snorkeling with the dolphins, Dolphin Cay offers reason enough to visit the Atlantis again. Reinvented and reinvigorated to celebrate the culture, taste, and spirit of the Bahamas, Marina Village is the ideal setting for guests to partake in regional experiences and interactions, savor local flavors, shop from island artisans, and enjoy performances by Bahamian musicians. Art Walk is a new weekly market where local Bahamian artists sell their locally made and grown products, art, wares, and foodstuffs. Frankie’s Gone Bananas, a favorite of local Nassau residents, brings a taste of the island’s rich culinary flavors with its renowned fish fry, grilled conch, signature staples including peas ‘n rice and fried plantains, and rum-based cocktails. Famous for having some of the best conch salad in Nassau, McKenzie’s Conch Shack invites guests to pull up a bar stool as they watch local chefs prepare their conch salads (said to be an aphrodisiac) with fresh, local citrus. And Pirate Republic, rated one of the best microbreweries in the Caribbean, features drafts from like Island Pirate Ale, the flagship Bahamian India Pale Ale, as well as light bites ranging from fresh jerk chicken to ahi tuna. There is so much more to see and do at Atlantis, Paradise Island. 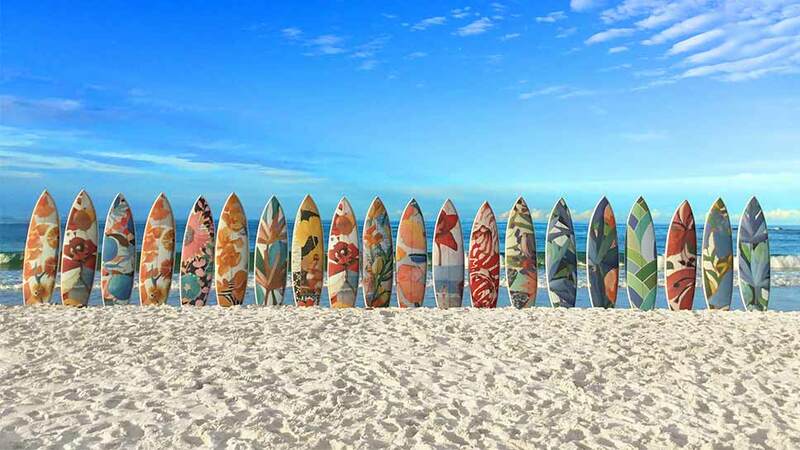 All of the newly curated accommodations, amenities, and experiences at The Atlantis have been designed to pay homage to Bahamian traditions, culture, cuisine, colorful design, and the ocean that surrounds the islands as well as nurture the talent, tastes, sounds, and creativity from across the islands of the Bahamas. And they do just that. Discover why the Atlantis offers so much more than an amazing water park. Seems like a good time to visit—again. For more information, visit AtlantisBahamas.com.